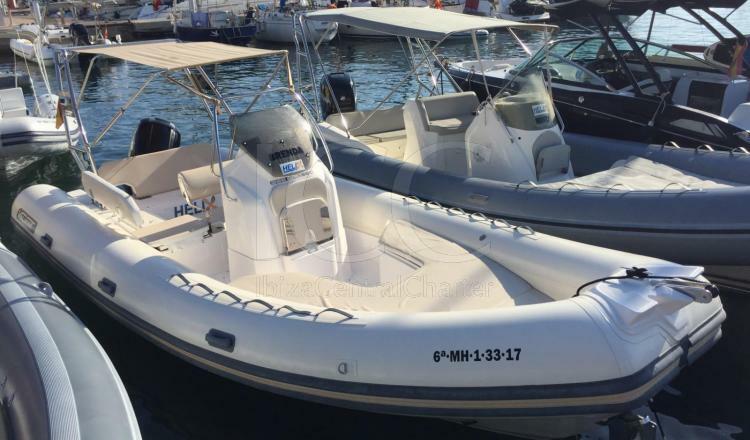 Valiant 685 with capacity for 10 people located in the port of Formentera. Discover the different coves and beaches of Ibiza and Formentera in this Valiant 685 will make you spend a day of sun and beach worthy of being repeated. The Valiant 685 is the semi-rigid with the longest line and one of the most complete if we talk about comfort and equipment. 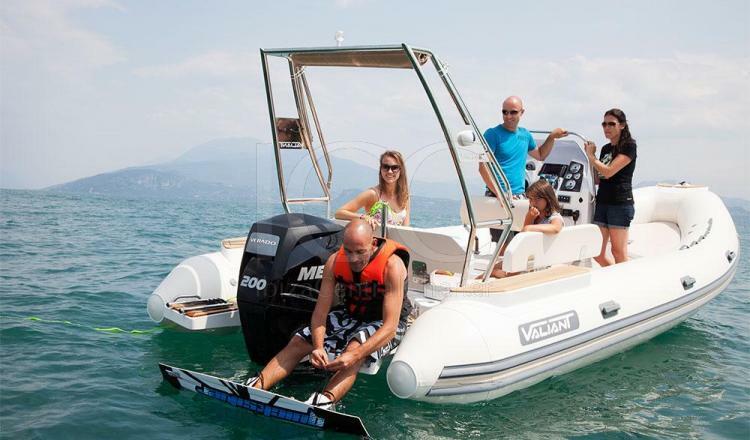 This boat combines power and lightness perfectly, obtaining great navigation benefits. Its design stands out for its numerous details and the versatility of the bathtub. In the bow area offers lateral seats on a few chests that are wide and deep, where you can store all the equipment that is not being used. If you prefer you can turn into a great solarium perfect to enjoy the beautiful views of Ibiza and Formentera while sunbathing. 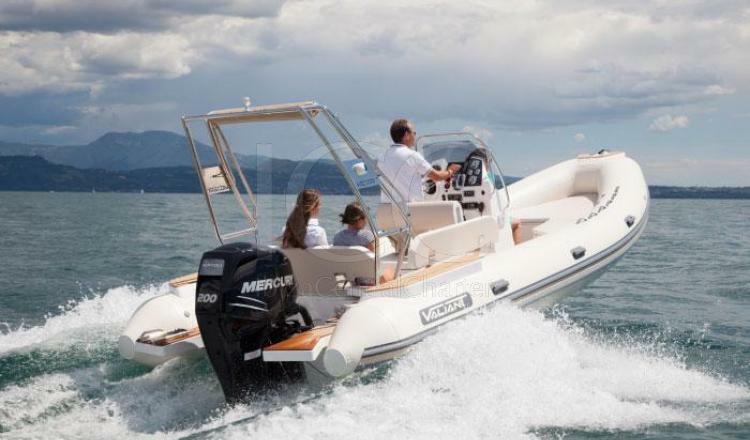 For the pilot has an adjustable bloester in three different positions to ensure confot while sailing. At the stern we can enjoy a second large solarium. In addition, it has a pre-bath with two bathing platforms and a folding ladder that makes cooling in the waters of the Mediterranean more comfortable and easier. 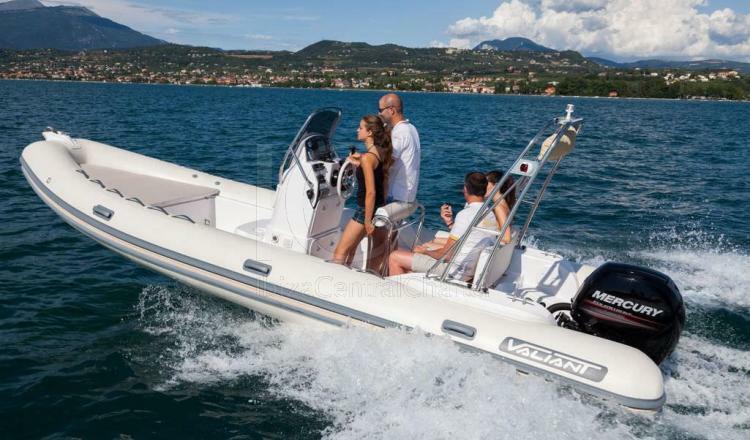 The Valiant 685 is a versatile model with good performance of perfect navigation to discover the islands of Ibiza and Formentera from another perspective in groups of up to 10 people. 50% by booking by bank transfer, 50% the boarding day. Deposit: 500€ payable in cash or VISA. In case of cancellation of the rental by the client, the amounts paid will not be returned.